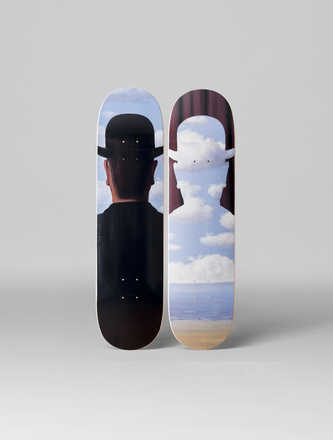 Screen-printed skateboard. Premium maple wood, made in Canada. 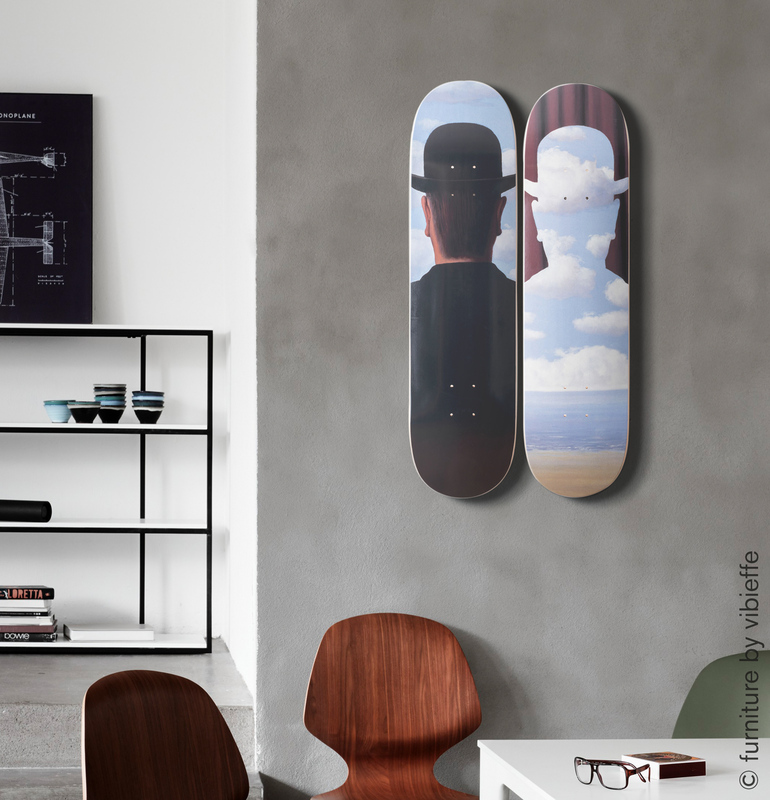 A modern piece of wall art depicting some of the 20th century’s most classic artworks. 10% of proceeds go towards supporting the charity work of Skateistan. Instruction & hangers are included. Произведение искусства "Decalcomanie, 1966" от René Magritte добавлено в вашу корзину.